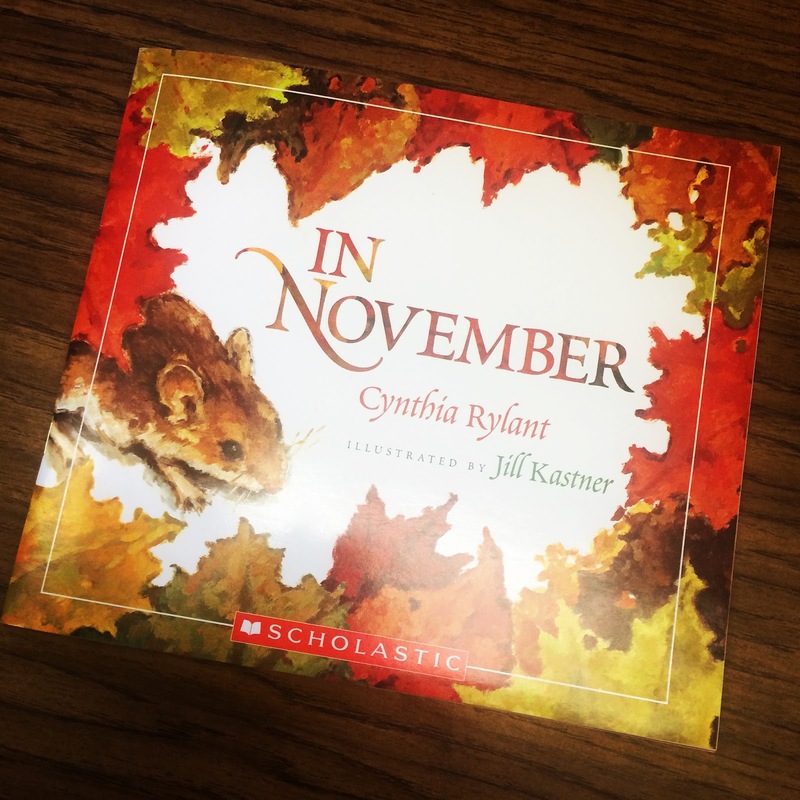 One of my most favorite books to read this time of year is In November, by Cynthia Rylant. Not only are the illustrations beautiful, the description and sensory details are on point! It is the perfect mentor text for using the five senses to tell a story and I love sharing it each year. 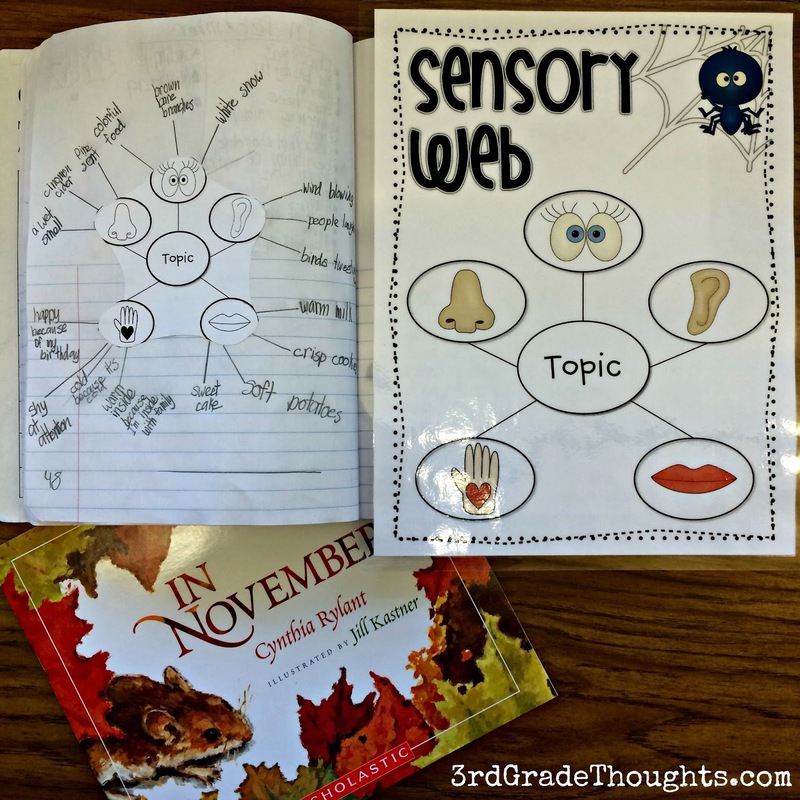 We then used my sensory web poster and planners to brainstorm the five senses in the month they chose. Just coming off of Halloween, the idea of webs was fresh in their minds. I had them get very specific for each sense. For example, for every "sight" example, they needed to include a color. For every "hearing" example, they needed to include a verb along with the noun, "taste" and "smell" needed to inclue adjectives along with the nouns, and for the heart/hand "feeling" examples, they needed to include because (my favorite word!) to explain why they were feeling that way in the month. 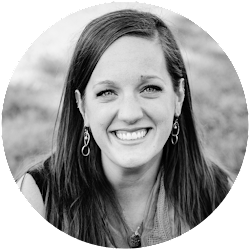 I gave the minimum of three examples per sense, but for some of my stronger writers, I encouraged them to go up to five. 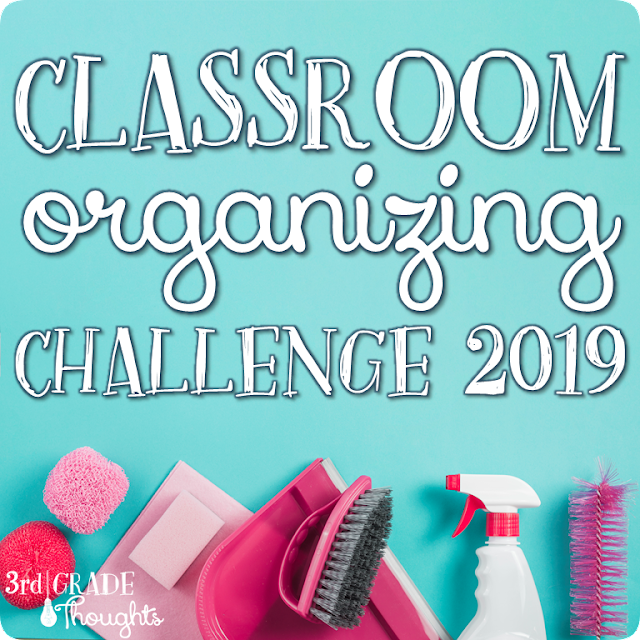 Because we meet in small groups for writing (to find out more about Writing Groups, click HERE), it's easy to differentiate and make sure I can check in along each step of the brainstorming process. 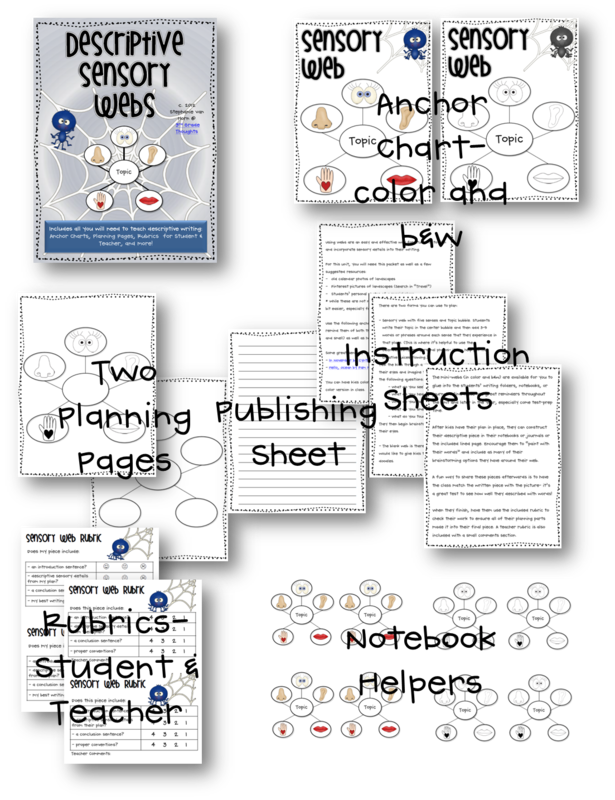 Plus, I could walk them through one or two examples of each sense and have them finish the remainder of their web in Independent Writing. I love being able to go back into Cynthia Rylant's book to show how she explained the senses of November in such a beautiful and poetic way. Her section on the smells of November was one of my class' favorites! Stay tuned to my Instagram and Facebook pages to find more pictures as we progress through this writing unit. 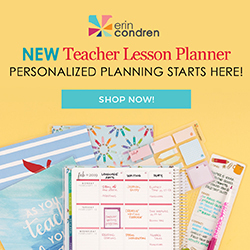 If you're interested in these planners, posters, and rubrics, you can find them HERE (and in the larger discounted bundled set HERE) in my TpT Store. I have to ask, how do you have time to do all of these creative activities? I live in FL and we have so many things we have to do with our kids, so many tests, and we have ELA modules that we follow. So we just finished nonfiction reading and writing, and now we will be doing opinion writing and reading fables/folk tales.